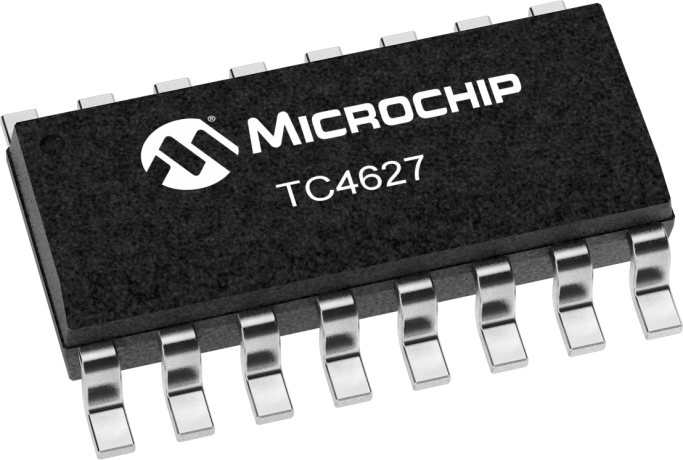 The TC4626/4627 are single CMOS high speed drivers with an on-board voltage boost circuit. These parts work with an input supply voltage from 4 to 6 volts. The internal voltage booster will produce a VBOOST potential up to 12 volts above VIN. This VBOOST is not regulated, so its voltage is dependent on the input VDD voltage and output drive loading requirements. An internal undervoltage lockout circuit keeps the output in a low state when VBOOST drops below 7.8 volts.Output is enabled when VBOOST is above 11.3 volts.